All four of the Anti-Ghost Moon Ray artists are releasing albums this year. To celebrate this, and in particular the first release – Acquaintance’s ‘Satellite Stream’, which came out in early March – we’re having a party. 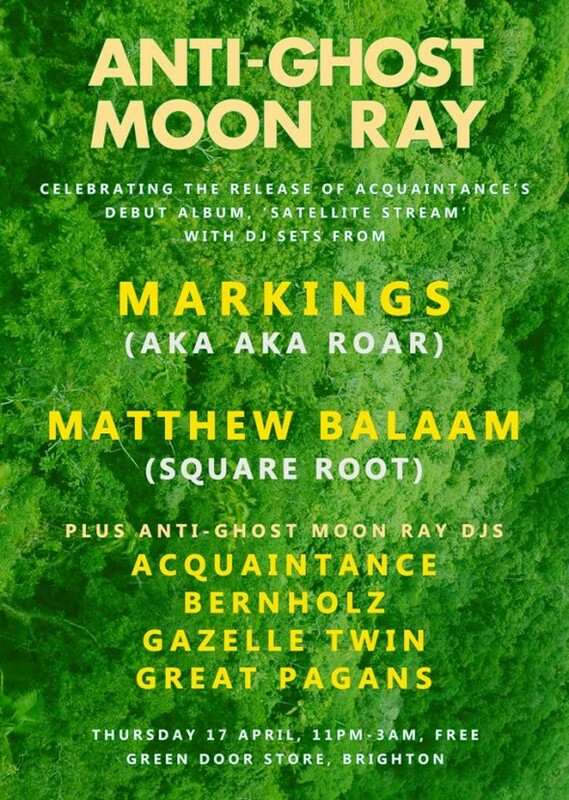 Arrive early to catch rare DJ sets by all of the Anti-Ghost Moon Ray artists:Acquaintance, Gazelle Twin, Bernholz, and Great Pagans. We will be spinning a range of music including experimental electronics, acid, R&B, deep house, noise, disco… and more.